Manage your Pest Control Services - With M4! - Datum ClearMind s.b. 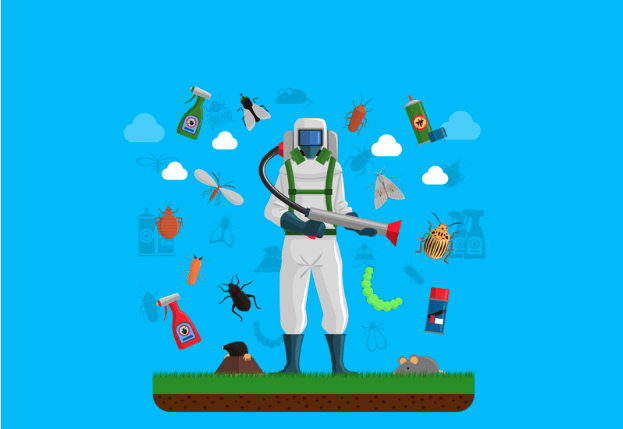 You are here: Home / Blog / Events / Manage your Pest Control Services – With M4! Managing a pest control service is no easy task. Throughout the day you are pulled in various directions from moving between the office, your service vehicle, customer accounts, maps, reporting, etc. The list goes on and on. In addition, you need to keep track the service your teams do, where they did it, what pesticides were used, pest targeted and so much more. And once the team returned to the office, office admin need to enter completed work orders, create and mail/e-mail invoices, file paperwork and a host of other administrative tasks. For many pest control companies, this is a daily routine. Maybe you have a team who helps out with daily activities such as scheduling, invoicing, and customer calls, maybe not. Either way, this can quickly become time-consuming, costly and error-prone without the proper tools to manage your company. In addition, general service and accounting software don’t provide the tools, pest control companies need to fully manage your business. M4 was designed specifically to address these issues and more. It exists to streamline pest control operations and to help you regain the time and money spent on administrative tasks so that you can get back to doing what you do best, Providing great pest control service. If you are evaluating pest control software and you are looking for a technology partner that understands your pain points and cares about the success of your business, feel free to contact our BPO – Business Process Optimisation consultant at enquiry@datumcorp.com or click here to read more on our M4 system for advancing pest control business. I’m certain we can help. https://www.datumcorp.com/f/2018/12/Screen-Shot-2018-12-04-at-3.45.59-PM.png 429 623 Husna https://www.datumcorp.com/f/2013/07/logo1.png Husna2018-12-04 15:48:062018-12-04 15:48:06Manage your Pest Control Services - With M4!